An exciting new adventure starring the New York Times-Bestselling Pout-Pout Fish! And he’s made big plans to roam. On his trip away from home! And not everything goes right. Can he fall asleep at night? Swim along with Mr. Fish as he explores new places and meets new friends in THE POUT-POUT FISH, FAR, FAR FROM HOME. He might just learn that a few bumps along the way are all part of the journey. 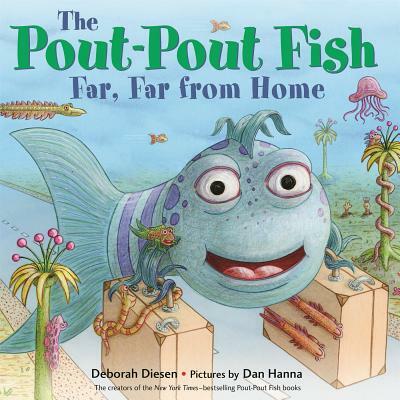 Deborah Diesen and Dan Hanna are back with everyone's favorite grumpy fish, to show that love doesn’t have to be packed, it travels with you always.